Save Lives Adopt Rabbits Don't Purchase Tiny Bunnies For Easter! Please support responsible citizens in helping place their pets in new homes and cut this endless cycle of rabbit abandonment at parks! And shelter rabbits lose their lives quickly as they chew up everything and the cage mats. Irvine Animal Care Center Has A Farm Animal Section! There are lots of rabbits in shelters who need good homes. Every child wants a bunny at one time or another because they are so cute. Children can often lose interest in rabbits because they don’t respond to humans in the same way that kittens and puppies do. Parents need to be ready to be the caretaker when that happens? 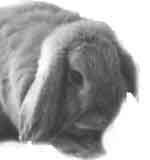 Rabbits can be wonderful, charming family members if parents and children educate themselves first. Caring for a rabbit is not like caring for a dog or cat. They are very social, and need lots of interaction with humans. They do not thrive when left in a hutch in the backyard. A good source for rabbit information is www.rabbit.org or The House Rabbit Handbook. Let learning about rabbits before you buy be a family project. Always Spay and Neuter Rabbits! Do You Have a Rabbit That Needs A New Loving home? Please remember to give us your contact details..